With a mix of balmy, spring-like days and harsh, winter weather, February is a month for both planning and executing gardening tasks. Visit the Northwest Flower & Garden Show in Seattle for garden inspiration and maintain your 2019 garden journal by taking photos of your garden and recording accomplished garden tasks. Finish transplanting dormant plants to prepare for spring purchases. A productive February will set the foundation for a successful growing season! Frost and heavy snowfall in February can do severe damage to your plants and trees. Click here for storm recovery advice from the Arbor Day Foundation. Plan your veggie beds and garden space. Is it time to try a cut flower bed? Or an edibles section of your garden? Sow sweet pea seeds in mid-late February when the soil is warm enough (check seed packet). Install a trellis or use an existing structure to let vines climb. Decide between starting annual flowers from seed or starts. Ask nursery professionals for the pros and cons of each, and what equipment is needed. Protect annuals from hard frosts by pulling containers under cover near a large structure. Keep seedlings started indoors moist by misting water from the top. Watch for etiolation (pale, weak stems) caused by insufficient light and move seedlings accordingly. Sow seeds outdoors when soil reaches the temperature suggested on the packet. Use a soil thermometer to check temperature. Shop for summer-blooming bulbs and store in a cool, dry place until April or May. Divide and move Snowdrops when blooms fade but the foliage is still green. This gives them the best chance of surviving and coming back. Examine stored dahlia, gladiola and begonia bulbs. Discard rotten bulbs and re-hydrated dry, withered ones. Perennialize paperwhite bulbs by removing faded blooms, fertilizing and watering until the foliage dies back. This is not a guarantee. Fertilize when new growth reaches 2 to 4 inches. Crocus, early daffodils and grape hyacinth are among the first to emerge. Remove wire mesh laid to protect tulip bulbs from rodents. Slugs are very active this month, lay slug bait or another method of your choosing as necessary. Bring primroses, cyclamen and forced bulbs indoors to spice up your houseplant scene. Indoor plants as gifts are common in February, especially around Valentine's Day. Some may become permanent while others will fade. Enjoy them all! Plant, fertilize and water gifted forced bulbs (tulips, daffodils, hyacinths) until foliage fades to give them a chance to bloom next season. Houseplants often look their worst in late winter. Discard plants that are overly troublesome or unsightly and start fresh with a new plant. Houseplants require more water once fresh growth and flower buds appear. Fertilize with a moderate liquid solution once plants show new growth. Keep a close eye for aphids and rinse with water if they appear. Remove critically infested plants to avoid a breakout. Measure the size of your lawn by breaking it into measurable sections and adding the area of those sections together. This will determine how much seed and fertilizer your lawn requires. Consider turning hard-to-mow corners and low spots into garden beds and planting sites. Gather supplies and secure tool rentals for lawn renovation in March and April. Sharpen mower blades and research the ideal cutting height for your grass blend and location. As a rule of thumb, cut no more than 1/3 of the grass blade height. Watch for red thread fungus which causes the tips of grass to turn red as if dipped in ink. This fungus can be treated and prevented with regular fertilizing and good cultural lawn care. Determine whether roses are grafted or "own root." 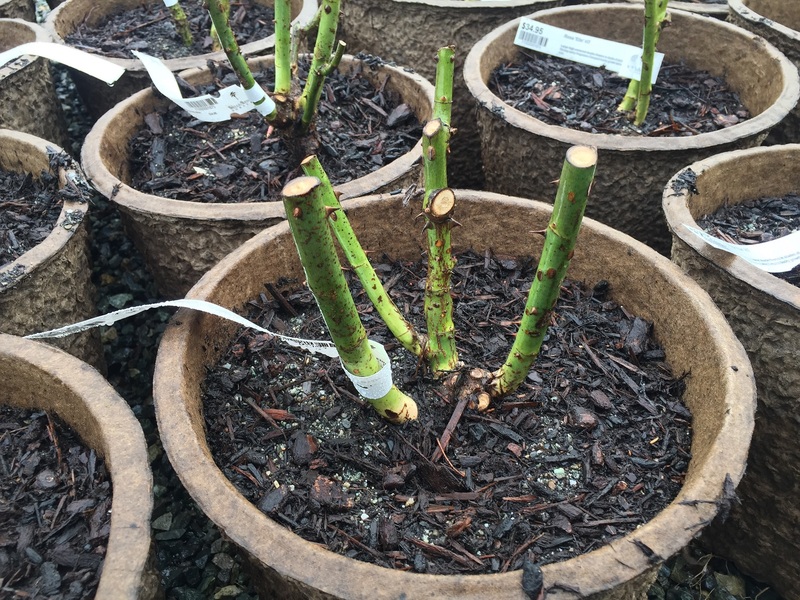 Grafted roses will have a knob or swollen area just above the roots where the rootstock and branch stock meet. Remove any growth emerging from the rootstock (it will likely be canes and leaves with a different color than the branch stock). Bare-root roses can be stored for up to three days in an unheated garage or shelter, but are best planted as soon as possible. Plan on planting no later than the end of the month. Roses can be planted and transplanted any time the ground isn't frozen or sopping wet. "Prune on Presidents Day" is the rule of thumb roses. However, rose pruning may need to pushed into March in colder years. Pruning stimulates new growth, which roses require to create blooms. Different types of roses require specific pruning techniques. Contact a nursery professional for pruning advice. Consider adding drought-tolerant classified rose types to maintain a water-wise garden. Consider shrubs as a replacement for hard-to-mow areas of the lawn and a natural hedge or screen. Consult a nursery professional to select the ideal shrubs ground cover and vertical screens. Nurseries often bring in bare-root shrubs this time of year. Protect bare-root purchases from drying out by planting them as soon as possible after purchase. Click here for a bare-root planting guide. Transplant shrubs when temperatures are above freezing. Prune shrubs that flower on new growth by removing up to 1/4 of the oldest, least productive stems to ground level. Prune mophead hydrangeas just as buds swell and green. Remove old flower heads by cutting back to strong buds. Renovate oversized hedges that produce fresh growth on old wood such as laurel, boxwood and privet. Eradicate webworm nests (often found on cotoneaster) by trimming affected areas before caterpillars emerge. On a dry, above 40 degree day, apply horticultural oil on shrubs that were plagued by pests the previous season. Consider sun and wind patterns when planting trees. Deciduous trees provide shade in the summer and allow sun to shine through in the winter. Evergreen trees can be planted to shield a prevailing wind. Both of these options can save on heating and cooling expenses. Trees are often sold as bare-root in February will likely need to be staked for support after planting. Inspect trees for damage after storms. See January. 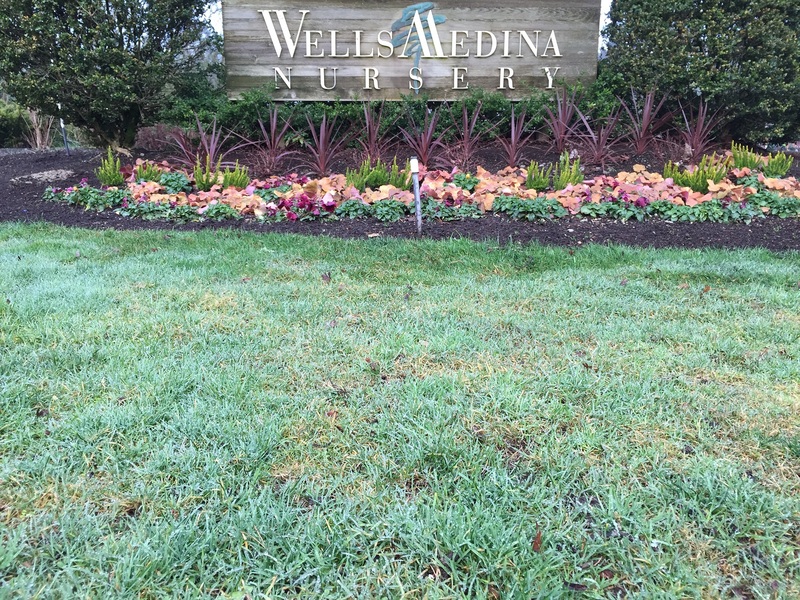 Add 2 to 4 inches of mulch when bare soil is visible and keep root flares clear of weeds. Prune dormant maples and birches just before buds open to reduce sap loss. Sap loss alone is not harmful, but large wounds may suffer from stem tissue damage if exposed to prolonged wetness. Consult a nursery professional or certified arborist for pruning assistance and advice.